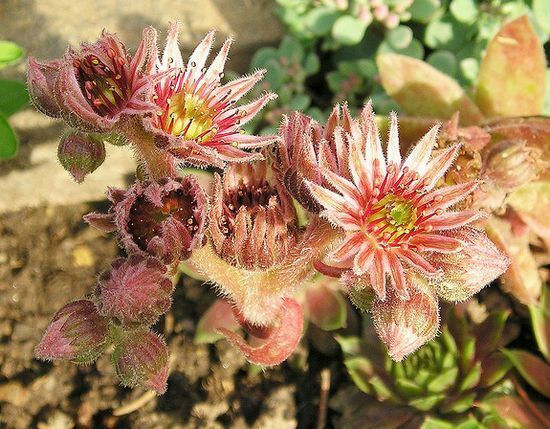 Sempervivum are rosette forming hardy or half hardy annuals that range from 10 to 30 cm in height. They bloom from the start to middle of summer, and carry small stellar flowers of pink, red, yellow or white. 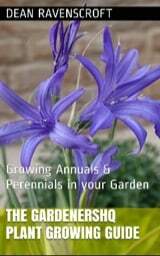 Their size makes them ideal for use in rock gardens and borders. 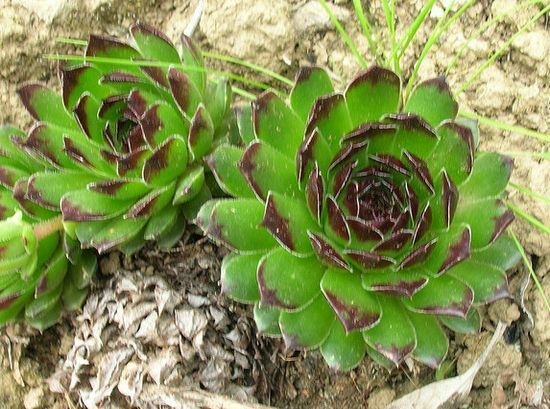 Some common names for Sempervivum plants include Live Forever, Houseleek. and St. Patrick's Cabbage. As a member of the Crassulaceae family, Live Forever is closly related to the Sedum plant genera. Common Names: Houseleek, Liveforever, Hen and chicks (chickens), St. Patrick’s cabbage, Jupiter's beard. Life Cycle: Hardy perennial. Half-hardy perennial. Height: 4 to 12 inches (10—30 cm). Matt forming. Native: Likely to be of subtropical origin, but more often associated with mountainous regions of Europe and Asia-minor. Flowers: First two months of summer. Flower Details: Red, pink, purple, yellow, white. Star-shaped. Small. Hermaphrodite. At least six petals. Sow Outside: Surface. Spring. Seed grown plants often do not stay true to the garden cultivar, so usually grown from offsets. Sow Inside: Germination time: two weeks to two months. Temperature: ~75°F (24°C). Sow in the spring or autumn. Transplant outdoors following the last frost. Space at 6 to 12 inches (15—30 cm) depending on species size. Requirements and care: Full sunlight. Poor soil. Dry soil, drought tolerant. Do not over feed. Deadhead. Propagate: spreads from lateral rosettes, so plant these as offsets or let them do their own thing (the original plant will usually die-off). Miscellaneous: Genus names comes from the Latin for ‘always’ (semper) ‘living’ (vivus). Often grown on roofs, where it is traditionally thought to help prevent lightning strikes. It is best to grow Live Forever and other Sempervivum from offsets as seed-grown plants may not always be attractive. When growing Sempervivum from seeds outdoors then sow on the surface in the spring. They should be grown in a sunny part of the garden in a soil that is poor and dry. If you plan to first grow plants indoors then they can be sown in either spring or summer, it takes from two to seven weeks for the seeds to germinate at a temperature of 20 to 28 degrees centigrade. The Sempervivum plants should be transplanted outdoors at a distance of 15 cm (small varieties) to 30 cm (larger species). Sempervivum likes dry soil, so water only when very dry. Once blooming has finished dead-head the flowers. If you require more plants then it is best to grow from offsets.